Do you want to unlock the power of your data with user-driven Business Analytics resulting in smarter insights and stronger outcomes? Today, data is everywhere and everyone wants access to something different, from a wide variety of data sources, that are specific to their role within the business. Imagine a company where everyone can generate insights at the moment of decision making, with the ability to dig deeper into the information that is relevant to them, regardless of their job function, resulting in agility, usability and value for line of business professionals. Tahola Bespoke can make this a reality for you and your business, if you would like to find out how, then contact us now. 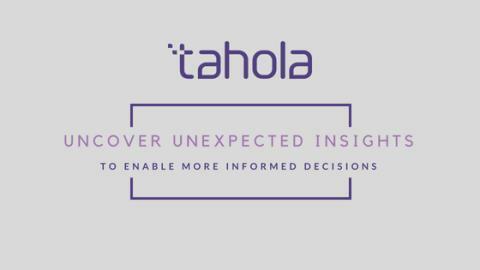 Tahola Bespoke is a Business Analytics Solution that is designed through a collaborative process with our clients. The outcome of this process results in a tailor made solution, that meets each organisations specific business needs across multiple business functions, regardless of the sector they operate in or the services they provide. The iterative approach Tahola take to Business Analytics design, means that return on investment can be maximised at every step of the way. Here at Tahola we do not align ourselves to one single BI platform, but instead, to ensure that we provide the right solution to our customers, we have chosen to work with industry leading, world class solution vendors. Instead of taking a 'one size fits all' approach as some organisations do, we offer a variety of platforms and work with a number of business partners to meet the differing and challenging needs of our customers. All of which are designed with one aim in mind, to maximise the use of data that will support their overall business growth. Tahola work with our customers not for them and so we never just simply deliver software, but we are dedicated to delivering solutions, solutions that add value to you and your business. If you are looking to implement a successful Business Analytics solution, that will integrate to the systems that matter to YOU to meet YOUR specific business needs, then we are certain that we have the skills and expertise to help you achieve that.